Phoebe Darqueling, steampunk blogger, was kind enough to read and review Toru: Wayfarer Returns on her steampunk-focused site. We wanted to share her thoughts with you here because she did such a great job of setting up the historical context of Toru’s story as well as placing Toru in the evolving steampunk genre. Find her full review on her terrific site here, and quoted in full below. 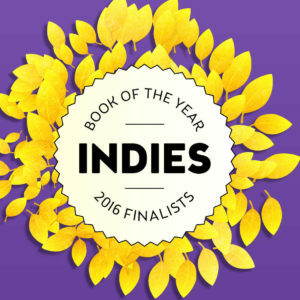 “Being a book reviewer is a strange way to choose which books to read. I rarely go to the bookstore anymore because people offer to send me copies of their books, so things like the look of the cover don’t mean as much to me now as they once did. I end up with a very interesting and eclectic collection of literature and I read books I might not otherwise pick up. 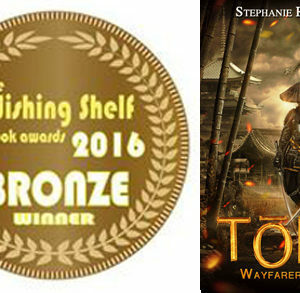 That being said, the cover of Toru: Wayfarer Returns, not to mention the concept of an alternative history of the “opening” of Japan, enticed me right away when author Stephanie R. Sorensen contacted me about a review. As I mentioned in another recent post, the infusion of non-Western cultures and sensibilities into Steampunk is very big right now. I don’t mean to imply Sorensen penned her tale with any sort of trendy ulterior motivation, I just want to situate it in the ever-evolving Steampunk canon. Ever since I started my trek into discovering Victorian-era history in service of this blog, I have been fascinated by the interaction between the Western powers (primarily the British Empire and an adolescent United States) and Asian countries during the 1800’s. I’d been hoping for an author to tackle this subject, and Sorensen does it beautifully. I know not everyone is familiar with the real events surrounding the “opening” of Japan, so let me lay some history on you. In 1639, the Japanese government expelled almost all foreigners from their shores. They felt that their traditions were being threatened by the influx of Western goods, but primarily by the Catholic missionaries who were working hard to convert the Japanese people to Christianity. For over 200 years, the Japanese closely monitored any outside contact with foreigners and refused to engage in trade except for on a very limited basis with the Dutch. Though the goods coming into Europe and the US was only a trickle, it was enough to capture the attention of foreign powers, especially those who recognized the potential of the untapped Japanese market. In 1853, an American named Matthew Perry sailed a small naval unit to Japan with the dual purpose of carrying a letter of “peace” to the Japanese Emperor (who at this point was actually little more than a figurehead) and a show of US firepower. In real life, the threat was enough to open up the conversation, but in Sorensen’s book, the Japanese take a different path. Toru grew up in a fishing village, but he everyone knew he was special and destined for great things. He travels to the US at a time that anyone who left Japan was considered a traitor, but learns everything he can about our language, customs, and military power. When he returns, he knows that it is only a matter of time before Western powers muster their forces for an attack on his beloved homeland and he wants to make sure they are prepared. The majority of the story takes place in the year leading up the Perry’s visit, and centers on how the technological advances they need to defend their country also leads to social change.